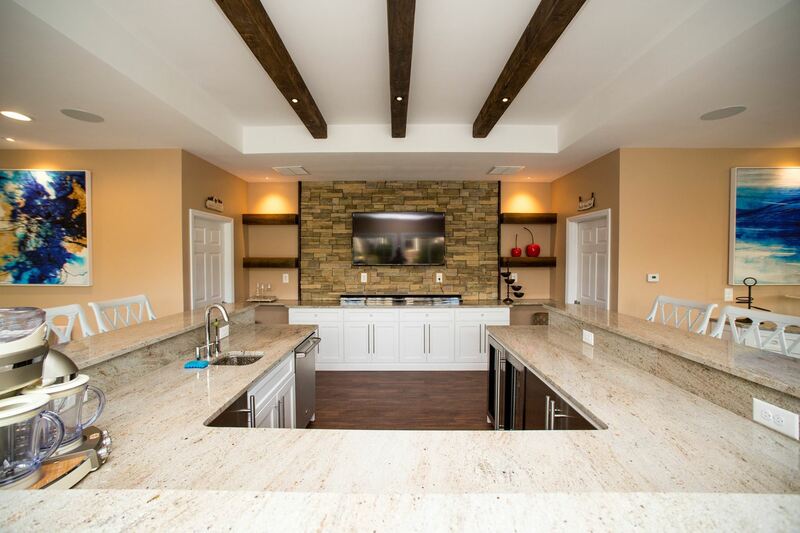 The family wanted new functionality for their kitchen, with a large island for seating, wine and beverage storage, improved lighting, and an open floor plan. To accomplish these, Aurora Kitchens & Interiors rearranged the appliances for better workflow and to open up the area. To adopt a healthier lifestyle, the family opted for a wall oven and a steam oven for better quality food preparation and re-heating. To improve the work triangle, the existing laundry room was relocated to the basement and additional space was incorporated into the kitchen increasing countertop space and creating a cooking focal point. Lighting was improved by properly locating recessed lighting and adding pendant lighting above and task lighting under the cabinets. 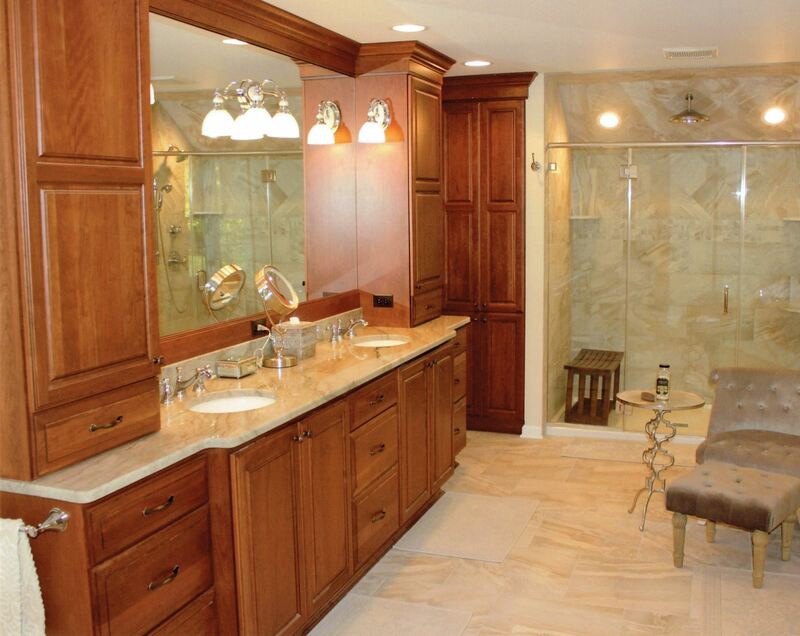 A 1990’s tract home Master Bathroom was renovated for increased functionality and style. Relocating the entrance to the bathroom, and relocating the existing plumbing from the old 4” shower and jetted tub meant the new water lines would be done overhead to maintain the ceiling of the garage below. The new 6’ shower was enhanced with multiport showerheads and three tile styles. An electric heat mat under the floor tiles keep the room temperature comfortable, since the garage is below. 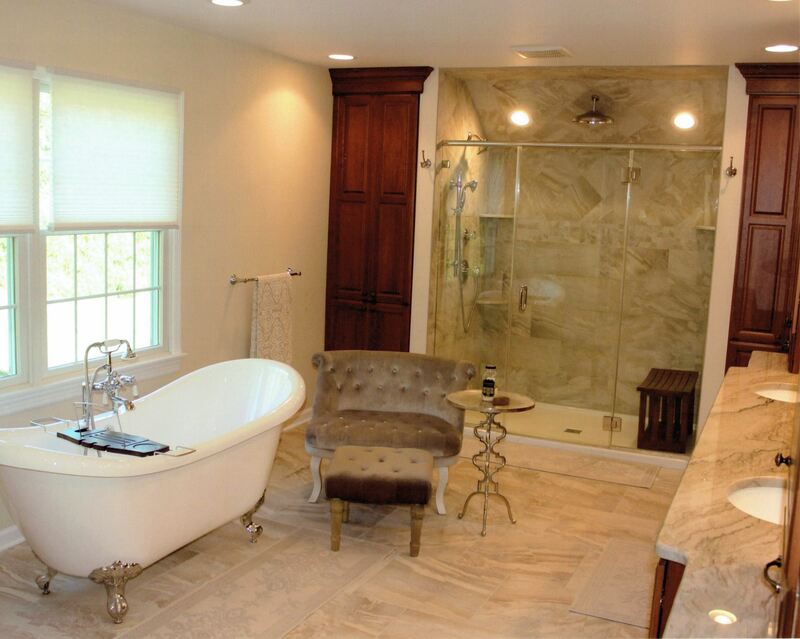 With the shower moved to the middle of the room, additional storage space was installed on either side, A new main window system provides space for a soaking tub — providing the homeowners an area for relaxing and unwinding. The house built in 1873 has had several renovations during its life. 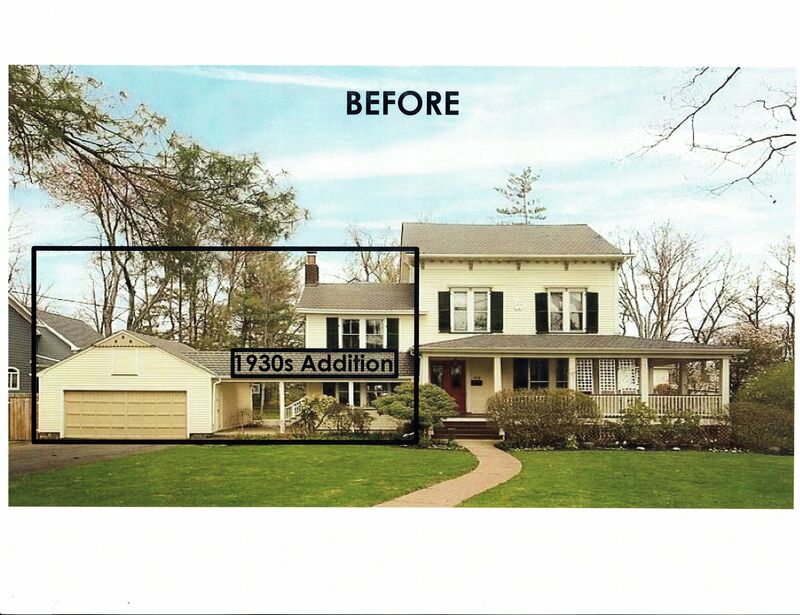 The owners wanted to bring the house back to its original time period, eliminating the 1930’s addition to the left and more recent addition to the back. The desire to use modern materials for easier maintenance replicates cedar siding, and new energy efficient windows provide energy efficiency. 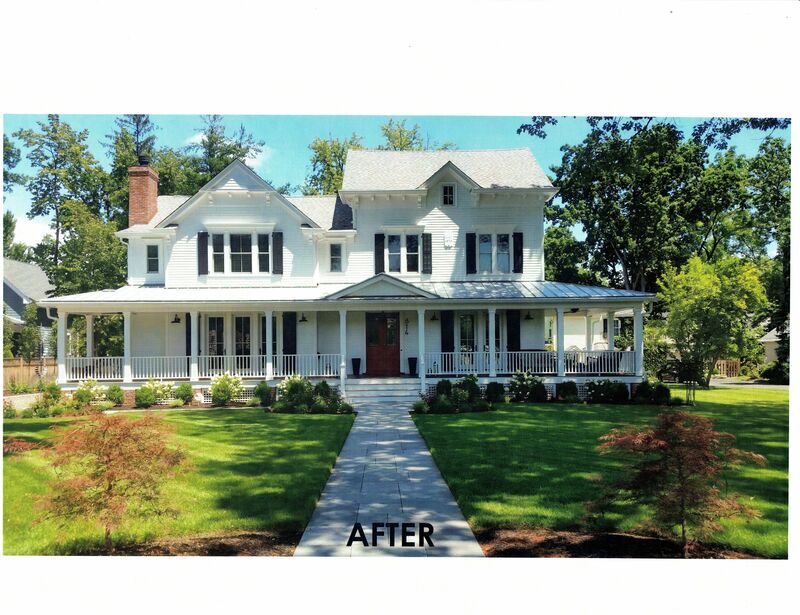 The porch was redone with mahogany flooring and metal roofing, wrapping around the front and rear of the home. To preserve the historic features of the home, existing corbels and window pediments were replicated by KCH Contracting out of man-made materials for sustainability and low maintenance. Staircases were renovated and one was relocated to provide better access to other areas of the house. Wood-burning fireplaces were added to the home, and a gas fireplace installed in the master bedroom. Floors not original to the house were replaced with white oak mimicking the older floors. Much more was done in this $1,700,000 renovation to create the desired effect. 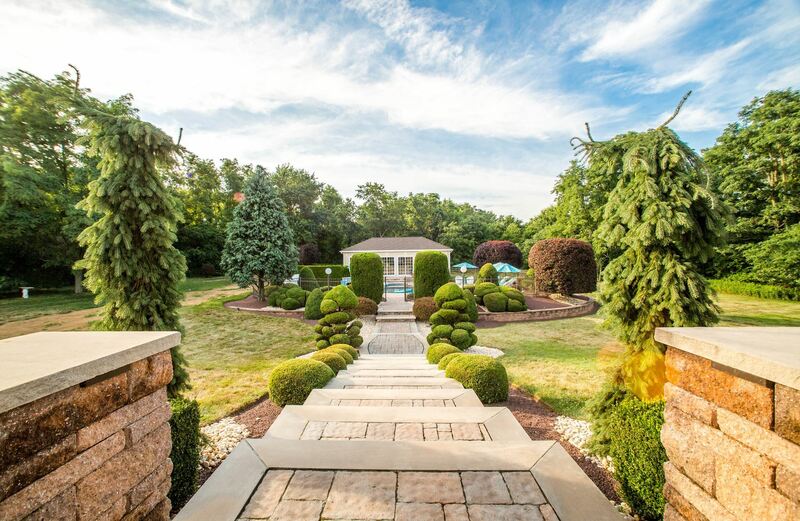 With a long wish list, tight budget and finite amount of space to work within, the challenge was to provide an 800-square-foot poolhouse that provided the functionality and aesthetic desired by the large Italian family who loved to entertain. It was imperative to design a full bathroom, large and functional wetbar with appliances, changing room and dining space with a lounging area. The idea was to keep the wet bodies from the pool out of the main house. Using detailed drawings of layout challenges, Conniff Construction was able to meet all the mechanical needs of the building and the desires of the family while providing a reasonable amount of walk-around space.